As Executive Creative Director, Adrian's role is to put his creative stamp on all of Lambie-Nairn’s work. He has over 20 years of experience in design, having worked at Sedley Place (UK and Berlin) where his clients included Volkswagen Group and The Royal Mail. 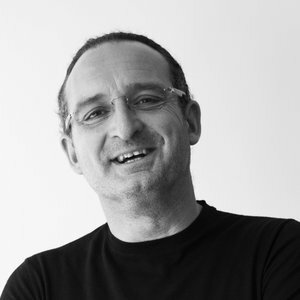 Since moving to Lambie-Nairn in 1997 he has been at the helm of many high profile branding projects including the BBC (Masterbrand, TV, radio and events), Telefónica, O2, Sainsbury’s, Al Jazeera, Expedia, and EA Games. Adrian is a regular commentator in the press on design and brand-related issues, as well as a judge and speaker within creative and media industry events.